February 15th 2011 witnessed the beginning of a political uprising in the North African state of Libya. The first days saw a series of protests and confrontations against Muammar Gaddafi’s 42-year rule. The following is an info graphic that appears on Wikipedia.com. It is being updated everyday, and this map shows the situation in Libya as on March 19, 2011. Here’s another interesting infographic on the humanitarian situation in Libya and the rest of the Arab region by OCHA. The above info-graphics are powerful sources of information. The fact that they can be produced and edited quickly to reflect the latest updates on the Libyan uprising make them invaluable to the information seeker on the Internet. You too can use editable Libya maps to keep track of the situation, create your own info graphics and share them with online publications. For instance you can use our editable Libya map (part of our bundle of maps on Africa) to track the fall in oil prices due to the uprising. You could also create an interesting interactive info-graphic that reflects Twitter updates on the Libyan situation by highlighting the location of the tweets on an editable world map like this one. Like all of 24point0’s map products, the Libya map too can be easily customized according to the users’ requirements in terms of color, text and scale. The map can be ungrouped to remove set apart important cities, helping the presenter highlight the situation clearly and accurately. Click here to download the Africa set of slides now! Our world map set has 27 PowerPoint slides with the seven continents as well as all countries detailed on respective continent maps. 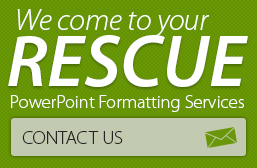 The well balanced color scheme and typesetting makes the slides ready to use. Click here to buy this set of reusable, editable maps now! 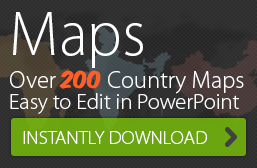 Click here for a list of our editable PPT Maps and to BUY NOW!